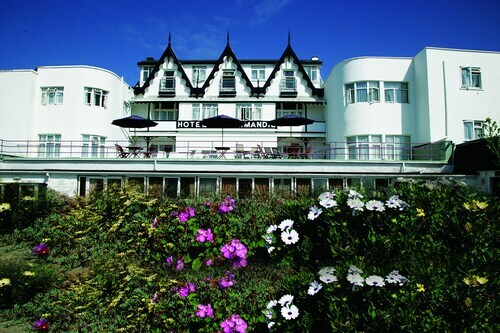 Situated in St. Helier, this romantic hotel is within a 10-minute walk of Jersey Museum & Art Gallery and Port of Jersey. St. Helier Beach is 1.2 mi (1.9 km) away. 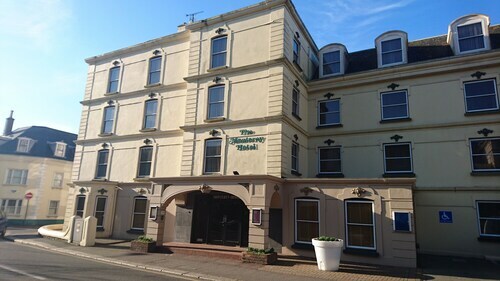 Located in St. Helier, this beachfront hotel is in the city centre and within a 10-minute walk of Jersey Opera House and Port of Jersey. St. Helier Beach is 0.7 mi (1.1 km) away. 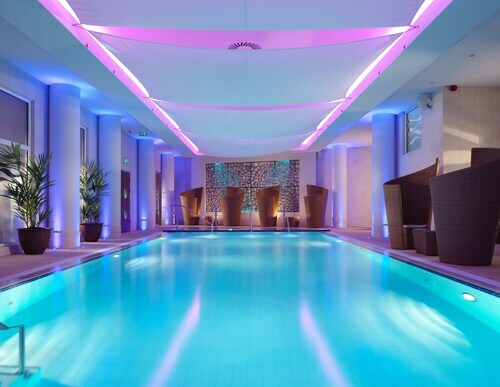 Located in the heart of St. Helier, this spa hotel is within 1 mile (2 km) of Elizabeth Castle, Port of Jersey and St. Helier Beach. Jersey Opera House and King Street are also within 15 minutes. 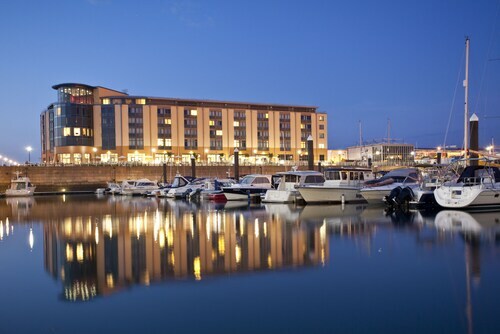 Located in the heart of St. Helier, this hotel is within 1 mi (2 km) of Havre des Pas and Port of Jersey. St. Helier Beach is 1.9 mi (3.1 km) away. 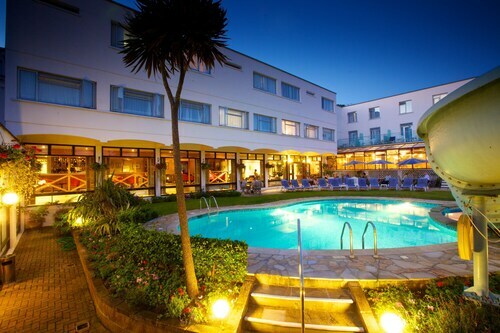 Situated in St. Helier, this hotel is within 1 mi (2 km) of Jersey Opera House, Port of Jersey, and St. Helier Beach. St. Helier Town Hall and King Street are also within 10 minutes. 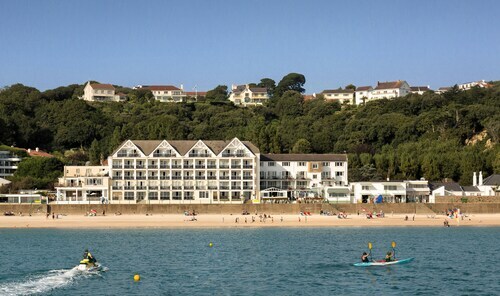 Situated by the sea, this hotel is within a 15-minute walk of Jersey Opera House and Port of Jersey. St. Helier Beach is 0.8 mi (1.3 km) away. 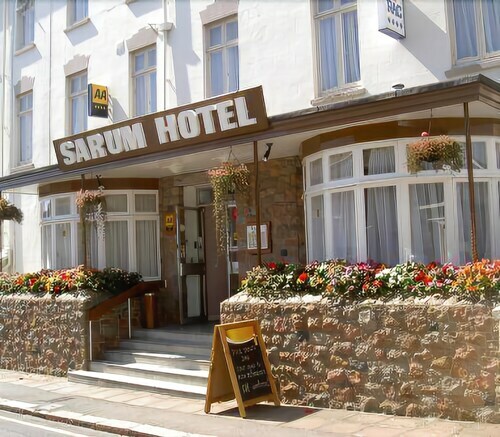 This family-friendly St. Saviour hotel is within 1 mi (2 km) of Howard Davis Park, Havre des Pas and Samares Manor. Port of Jersey and St. Helier Beach are also within 3 miles (5 km). 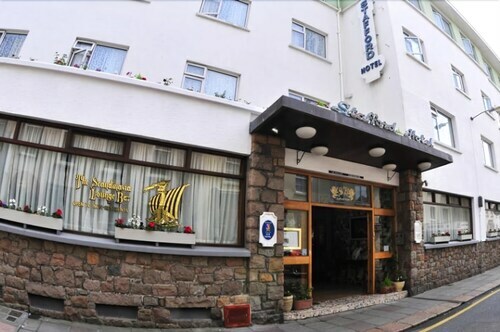 Situated near the airport, this luxury hotel is within 9 mi (15 km) of Jersey War Tunnels - German Underground Hospital, Elizabeth Castle and Jersey Museum & Art Gallery. Hamptonne Country Life Museum and La Mare Vineyards are also within 9 mi (15 km). 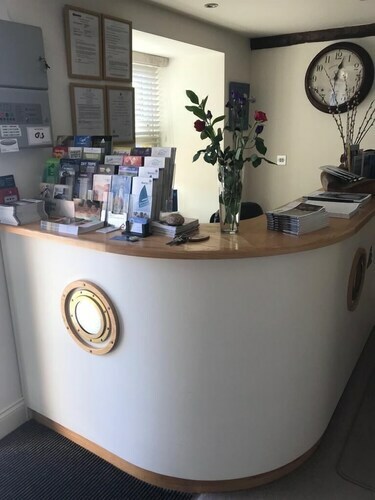 With direct access to the beach, this St. Brelade bed & breakfast is within 3 mi (5 km) of Jersey Lavender Farm, St. Helier Beach and Port of Jersey. 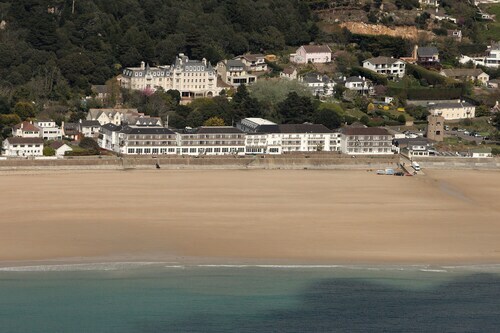 St Brelade's Bay Beach and Sir Winston Churchill Memorial Gardens are also within 2 miles (3 km). Now that you've decided to travel to Jersey, ebookers would like to assist you in finding a hotel that will suit your needs. 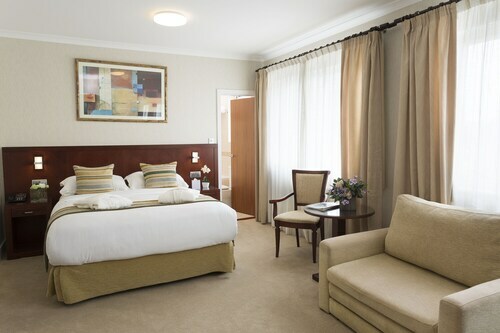 Our site rapidly provides favoured hotels in the city so you can have a range of preferences to pick between. We offer various useful tools that you can use to quickly and easily filter the results of your search. One time-saving feature of our site is our map, which gives you a simple way to find a particular area for your stay in Jersey. You might want to customize the filters to sort by popular location or area to find a hotel close to the region's local attractions. If you're searching for hotels in a particular price range, you can filter by price per night to lock down a hotel that keeps you within budget. 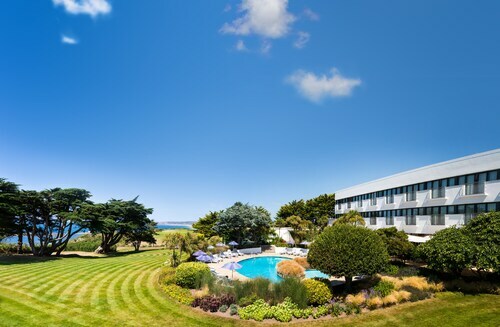 If you want certain facilities and services like free breakfast or an outdoor pool, you can decide to adjust your search to get the comforts you want to make for the perfect visit to Jersey. We would like to help you arrange how you'll get to your destination since you've just selected your ideal Jersey hotel. Our site can be your first stop for all your air travel and hired car needs. You can search for flights by number of stops, airline, or departure time to locate one that meets your needs. You may also want to think about ways to get around once you arrive in Jersey. One option that's available to you is having a car for hire waiting for you at the airport by browsing our car hire deals. You may want to scout the area for interesting things to see and do while on holiday in Jersey. Arranging to have a hired car can make day trips simpler so you'll be able to experience all that Jersey is known for. We want to help you discover new ways to explore Jersey, and you can find everything you're looking for on our site. Now that you've made use of our hotel filters to find accommodation close to popular sights, it's easy to find activities nearby. If you want to explore ancient ruins or admire beautiful landscapes, you can search for Things to Do on our site. Finding activities that appeal to the whole group has never been simpler, all you need to do is sort the results based on your interests. You don't have to go to third-party sites to see photos of activities that interest you, just click through the gallery to help make your determinations. You can also earn travel rewards and upgrades in order to stretch your budget even further. The only thing left to do now is pack and head out to enjoy your holiday. 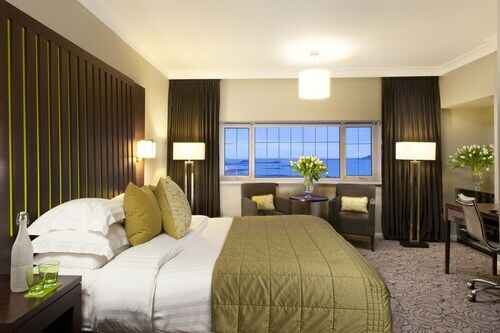 The upgraded room, the staff were very good and the breakfast buffet was excellent. The bathroom was spotless and had everything required. The room was a bit tired but acceptable but the noise from the central heating pipes was just unacceptable, so much so it made you turn up the TV to hear it and could be quite intrusive to neighbouring rooms. Having a car park on site was a bonus. The location is fantastic, literally just a couple of minutes walk to the main shopping area and bars etc. Beautiful view and fantastic area. Building next door taking place but great otherwise. Beautiful hotel, before Christmas very relaxing time as the place was very quiet. Very good, excellent position for walking into centre. Only thing was breakfast is too expensive unless your appetite is enormous. We had breakfast out each day.